1 Is there Head First EJB Book mapping with SCBCD 1.3 Objectives? This is Head First EJB Book mapping with SCBCD 1.3 Objectives. 2 What is the official page for Head First Book where I can download the code and errata? You can download the very basic code samples and errata from authors site. By the way this also has solved "Sharpen Your Pencil exercise" pages for download. 3 Is there Simple list of SCBCD 1.3 Objectives? 4 Can I see the Cloudscape database contents where CMP/BMP entity beans are persisted in a GUI way? 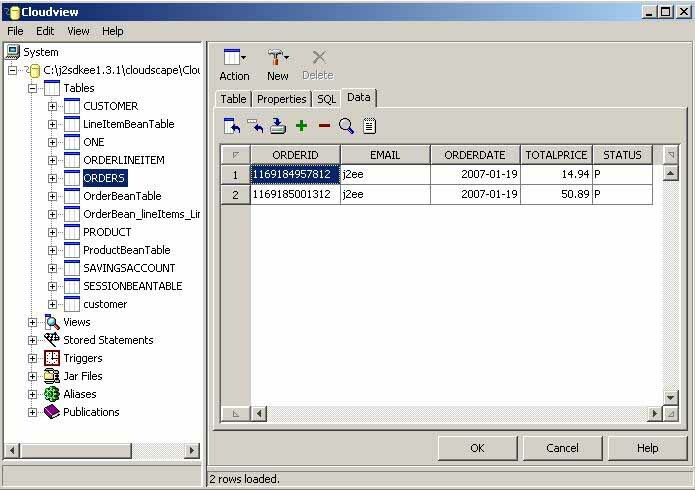 You can definately see those persisted tables in a GUI way. After the release of J2EE 1.3 Cloudscape database was acquired by IBM. Thats why Sun stoped bundling Cloudscape alongwith J2EE kit. If you’ve configured J2EE_HOME system variable properly following command will give you Cloudscape database contents in GUI way. You may save following command in some batch file like cloudview.bat.